Most of us spend about a third of our lives sleeping, so it’s important have a convenient sleep. Having the right pillow is very important to get a quality, comfortable and quiet sleep. The wrong pillows can cause headaches, neck pain, numbness in the shoulders and arms and sneezing. This time we will try discuss about two kinds of pillow namely feather pillows vs down pillows to help you to choose the right pillow to get quality sleep. Feather pillows are typically blend of feathers and down. Feathers are heavier and provide more support than down alone. However, they do have quills and will wear down quicker. The quills will poke through and escape the pillow, which is thought to be a sign of good luck. Feather blend pillows are less expensive. Most people grew up with these type of pillows, so it is kind of like sleeping with a comfortable friend. Besides that, feather pillows are the cheaper option than down pillows. Feathers are heavier than down, making it a more supportive pillow. However, the feather’s quills will poke through if the lining or even escape the pillow. If you are losing feathers, you are also losing support. A quality feather pillow is one that uses small, highly curled feathers. It should also have a thick cover, preventing quills to poke you. The downside with feather pillows is that it needs constant fluffing. It’s also difficult to clean and more allergenic than other pillows. 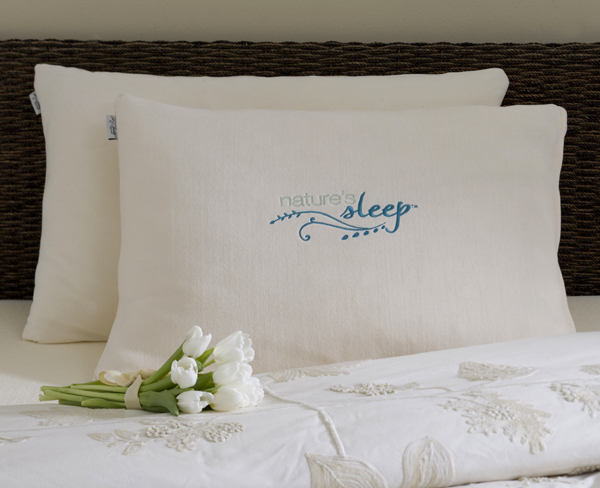 Feather pillows are ideal for back sleepers and slide sleepers. Down pillow is the fuzzy insulator underneath the feathers of a duck or goose. Goose down is larger and fluffier than duck, which is why they seem to be preferred. Larger down clusters provide more loft and will last longer. They are very durable, but some people do have allergies to down. 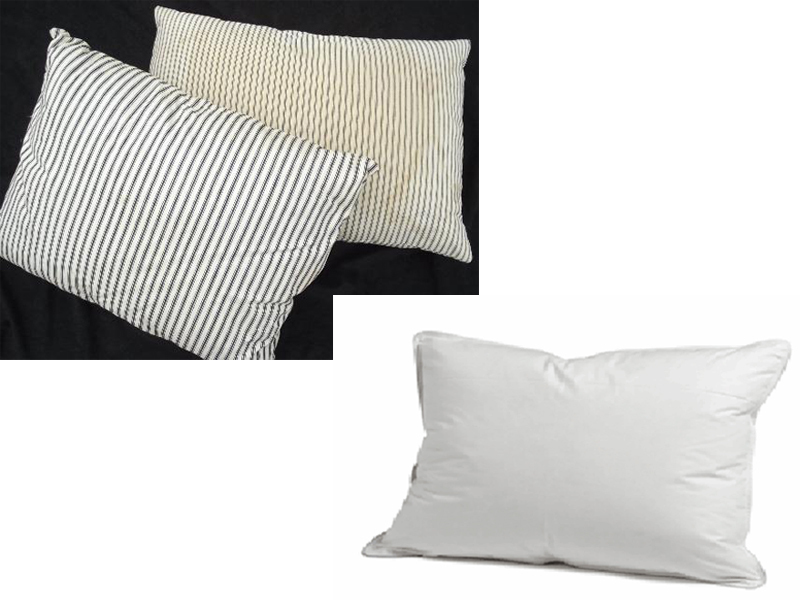 Down pillows are also more expensive, but because they will last the longest with proper care they are a good bargain. You will see a fill number associated with down pillows, like 600, 700, or 800. The higher the fill number, the more loft and firmness you will have with the product. Down is the bottom, fluffy part of a bird’s feathers. These pillows are considered a luxury pillow because they are soft and supple. It moldable and tends to hold its shape well. However, it doesn’t offer such strong support. It requires a lot of fluffing, it’s difficult to clean, it’s more expensive, and it lacks firmness options. There is also a good number of people who are allergic to it. Down pillows work well for all sleeping positions. When you try to decide, down pillow is more resilient and comes in varying levels of quality. It’s more resilient because the goose down clusters will naturally want to return to their normal fluffy selves after you have slept on them. Quality in this case means longevity. The higher the fill power, the larger the down cluster, a larger down cluster is more resilient and will last longer. Very important given the ‘beating’ a pillow takes. So a higher fill power means a larger cluster and will more durable and of finer quality. 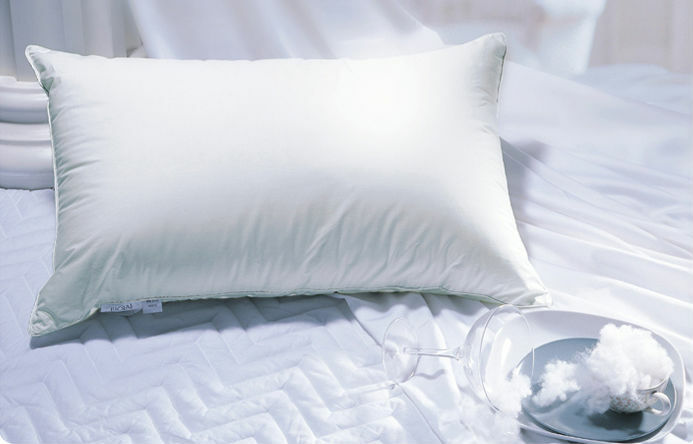 Down pillow can be your best sleep companion.